These life hacks can include a change in technique or adaptive lifestyle changes. For instance, most people that require caregivers tend to have a lot of medical supplies and nifty tools that are strewn everywhere, something as simple as creating space for these items can bring much needed organization into the household. A bowl for things like wallets, phones, and keys can be useful as those three things are often used together and can be stored together. For medical supplies, reusing an old dresser for storage does wonders for preserving space and organization. For both caregivers and clients, having mobile apps to track medications or supplies can be helpful as well, limiting the amount of stress put on each individual to remember some of the less obvious parts of routine, such as medications that aren’t always taken daily. An uncommon, but useful hack is to invest in a shoe rack that has organized cubbies, storing clothes/outfits in there can open space and make the morning routine faster. Our newest ready-to-use product is the Freshair Waterless Shampoo Comb, it’s foolproof with an easy setup and leak proof design. This product is one that caregivers will love as it’s gentle, quick, and easy to store. 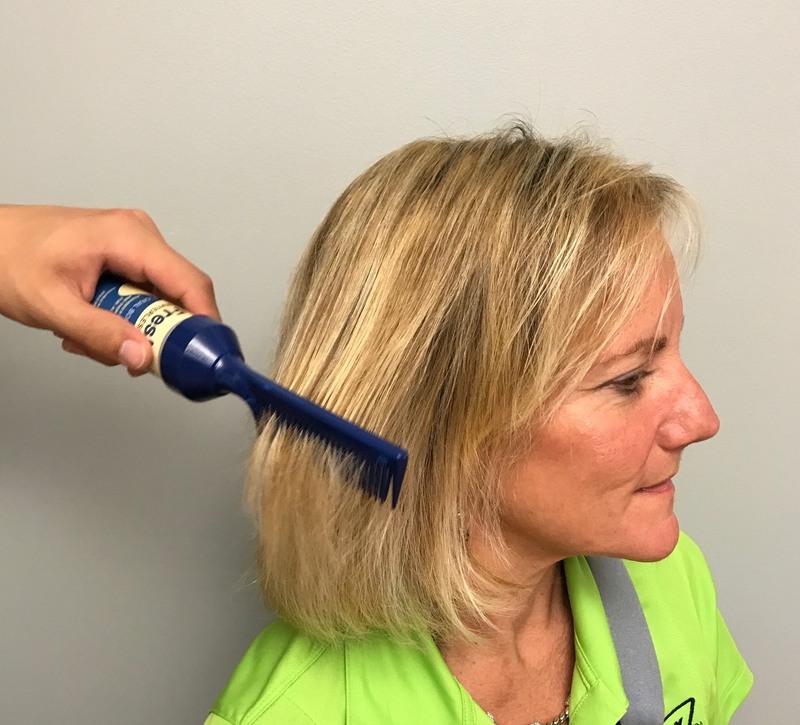 By squeezing the bottle attached to the comb, a shampoo is dispensed that is then combed and “washed” away by running the comb through the hair. It truly is a waterless experience and can be used by both men and women. This product is also recommended for those with PD or other illnesses that lessen our strength and ability to function properly over time. Washing hair with diseases such as Parkinson’s or after a stroke can worsen things, the strained muscles for long periods of time can really do some damage. That’s why the option to have a one step treatment in hair care can be so beneficial, we wouldn’t expect the regular task of bathing or hair washing to be harmful but it is. In fact, many seniors struggle with the very task of bathing and often have caregivers to do it for them for these reasons. As a caregiver, there’s not always ample time to get the client up and ready for the day, especially when it’s a busier day than normal. The Freshair Waterless Shampoo Comb can shave off fifteen minutes of shower-time in the morning, and on those really busy days those fifteen minutes mean the world. Having that option to just run a comb through their hair while still keeping clean is what makes this product a true life hack. When the bottle of shampoo runs out, Freshair Waterless Shampoo Refill Bottles can be found online in packs of four. Don’t skip washing your hair because of time or inconvenience, stay fresh with the Freshair Waterless Shampoo Comb.